An Accredited Investor Database can help you to raise money for your private offering. When using Regulation D to raise capital, you need to be able to reach accredited investors that may be interested in your unique opportunity. One of the greatest challenges that a company has is locating these investors. Those working with a broker dealer may benefit from their established connections, which can make it easier to raise funds. The challenge, however, is that they will typically take a fee and commission, pricing themselves out of the market for smaller companies. If you are raising money for your private offering without the help of a broker dealer, you need access to an Accredited Investor Database. Fortunately, you can purchase accredited investor leads from www.accreditedinvestorleads.com. This is a great starting point because it gives you the ability to contact investors. The key to building a solid Accredited Investor Database is being able to refine the information and categorize it for future use. When you order your lead list start by putting demographic and geographic qualifiers on the list. For example, if you are promoting an opportunity that would most likely appeal to the over 60 crowd, ask for a lead list of older accredited investors. By putting these qualifiers onto your lead list, you can create a database of investors that can be sorted based on their likelihood to invest in each type of transaction. When you start making investor calls, keep detailed notes of the conversation. Learn about prospective investors, what they like, what they are interested in, what their risk tolerance is, and if they are actively investing. You can gather a lot of information by asking open ended questions and listening for ques. For example, an investor may ask if you have hear of a recent technology or an oil and gas deal. These types of questions will give you an idea about their interest and how they feel about certain types of transactions. You will learn the most about an investor by engaging them in conversation, then listening. Place the information you have gathered into your Accredited Investor Database. You can use a sales tracking system or a robust excel sheet. When you learn about your investors, you can create alerts and reminders to contact them if a particular opportunity arises. This will save you time and money in the future, by allowing you to connect with prospects faster. It can also save you time by telling you who not to call. For example, if you contact an investor about an opportunity in consumer goods and they tell you they only like to invest in real estate, you can make a note to only call them about real estate transactions. This prevents you from wasting time and making a potential investor angry. When you have an investor on the phone, ask them if they know of anyone else that may want to learn about your private offering. In other words – ask for referrals. You may be surprised at how many people will be willing to share their excitement with friends and family. If you ask for a referral during every interaction, you will build a larger Accredited Investor Database in no time. For now, start by ordering your lead list from www.accreditedinvestorleads.com. With the SEC lifting the ban on general solicitation, 506c companies are raising money and recruiting new investors. Regulation D is an exemption from registration with the SEC. Within Reg D are several rules, including Rule 506. After the JOBS Act was passed, the SEC created Rule 506c to be a unique exemption that would allow companies to raise money without registering and be able to advertise their private placement at the same time. Previously, companies were only able to advertise once the deal had been closed to investors. This important change has made it possible for companies to expose their offering to a wider group of investors. Instead of being confined to their local investor community, they can now comfortably advertise to investors throughout the United States. The key is that they need to be accredited investors. A company using Rule 506c can only accept money from verified accredited investors, or they can lose their exemption. In order to start raising money, 506c companies need to create their private placement and all of the disclosures that go with it. Once the private offering has been prepared, the advertisements need to be prepared as well. These need to be submitted to the SEC before they are made public. The SEC wants to keep them on file and may or may not comment on them. The company also needs to register in the EDGAR system before advertising the offering. This is a change from the traditional Rule 506, where a company could register in the system after an investor was ready to participate. While 506c companies can advertise the advertisements all need to state that only accredited investors can participate. With this in mind, it is wise to maintain the traditional investor cultivation of one on one meetings and calling from accredited investor leads as well. Consider these traditional activities as a good way to build your base of investor, while advertising can attract investors to push the raise over the top. It is unwise to focus on one strategy alone but combined they can make a dynamic impact. Print Ads. Buy ad space in investor newsletters, publications, and magazines. By targeting your ads in places where accredited investors are likely to be found, you will have greater success. Remember that this is a specific audience. Radio. You can take out radio ads in your local community and may want to promote an informational event that people can attend for free. Television. While an expensive form of advertising, this market is now open to 506c companies. Online. Announce your offering on your website and social media pages. This will give you good exposure with your existing customer base, people that know you and may be interested in supporting you. The market is wide open to raise money and attract accredited investors. Leverage this opportunity to expand your investor base and close more deals. Just make sure to stay in compliance along the way. If you are looking to raise money, private placement leads need to be part of your tool kit. Every year companies raise more money through private offerings than they do on the stock market. This is fantastic news for business owners and entrepreneurs because it shows that there is an appetite for off the market deals. The key is reaching the investors that can participate. When raising money, it is important to determine which vehicle you are going to use. 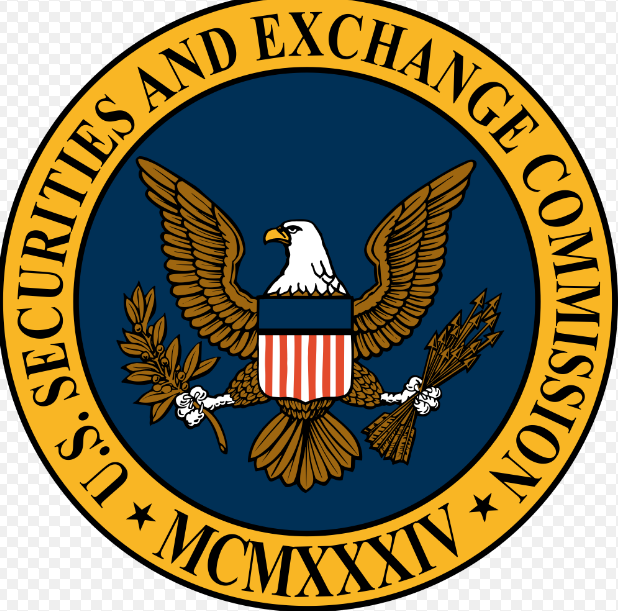 The Securities and Exchange Commission offers several exemptions from registration. By using an exemption you will file less paperwork, spend less money, and start raising money faster. The most commonly used ones are found within Regulation D. Within Reg D there is Rule 504, Rule 505, and Rule 506. Each one of these rules has specific guidelines for who can invest in the offering, with them geared towards Accredited Investors. When searching for private placement leads, look for accredited investor leads. These are people that meet the SEC’s requirements for being able to invest in all types of private offerings without restriction. When you work with accredited investors, you have a better chance of staying in compliance and avoiding issues with the SEC down the road. You can buy private placement leads from www.accreditedinvestorleads.com. Once purchased, you need to have a strategy for maximizing your lead list and closing more deals. It starts by understanding the value of your offering. What opportunity are you presenting to investors and how will it deliver direct value to their lives? If you cannot clearly articulate that within thirty seconds to a minute, your sales pitch is dead. Investors need to know what is in it for them first. After you have explained the value of your specific deal, it is important to discuss the overall industry opportunity and how you are uniquely positioned to take advantage of it. Investors want to know that there is an opportunity here and on the horizon. It is a good idea to have industry facts and bullet points written out before you make a call or schedule a meeting. Your job is to be the industry expert and to understand every reason why this particular opportunity can benefit from current industry trends. The more knowledgeable you are, the more confidence investors will have in you and your company. Cultivate your private placement leads by following up with people. Once you have made initial contact try to get them excited enough to want more information, request a meeting, or copy of your private placement. The goal is to keep your leads engaged while you walk them through the process. Many leads are lost not because the investor isn’t interested but because they weren’t followed up with. Use a tracking system to document whom you spoke with, when, what was discussed, what the next steps are, and when to follow up. 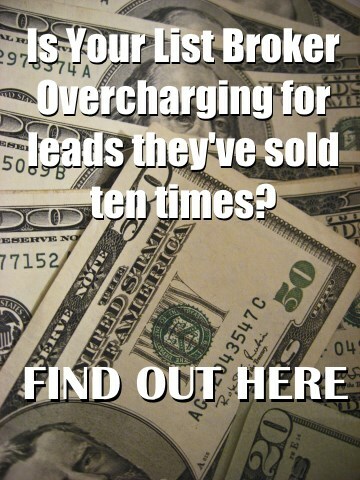 Continue to cultivate your leads list as you walk investors through the closing process. If you are raising money through a private placement, you will need to verify whether or not interested investors are Accredited Investors. How you structure your private offering will determine whether or not all of your investors need to be accredited. For example, if you use Reg D Rule 504 or 505 you can accept a limited number of non-accredited investors. If you issue the offering under Rule 506(b), your investors must be either sophisticated or accredited. Under Rule 506(c) you can work with accredited investors only. In order to stay in compliance, you must obtain and keep information on your investors that attests to their accreditation status. Personal Information. Create a form to capture their name, birth date, social security number, address, phone number, email, occupation, and work contact information. Accreditation Form. Have them fill out a form with their assets on one column and their liabilities on the other. Calculate their total net worth by subtracting their total liabilities from their total assets. Their primary residence is not included on either side of the form, unless they owe more than their home is worth. In another area of this form, have them list how much money they made individually and with their spouse over the past two years along with what they anticipate their income to be this year. Include a line at the bottom where they can say that they are (or aren’t) an accredited investor. The form needs to be signed and dated. Investment Information. This form should identify the first day that they received information about the offering, when they completed their accreditation form, how much they invested, when they invested it, and the corresponding number associated with their shares. This form should also state that they received all of the information they needed in order to make an informed investor decision. Have them sign and date it. You can also have them initial each line. Verifying accredited investors for Rule 504 and Rule 505 is fairly simple. These forms should be sufficient for staying in compliance. For further information or tips, contact your securities attorney. Investment Information. The data you need to collect for this is the same as above. Accreditation Information. This is where the process differs greatly. They are not allowed to self-certify under Rule 506(c). There assets, liabilities, and income needs to be verified either by you or a third party. Include sections on the form to reference the documents that were viewed to verify the information and attach a copy of them. This can be tax returns, W2s, bank statements, credit reports etc. If a third party is providing the verification that they are accredited, they need to provide a signed and dated letter attesting to that fact. The third party can be their CPA, a licensed broker dealer, or financial advisor. Keep all of this information on file for the duration of their investment.